Home 7 and Up ClubIs My Child Too Young For Orthodontic Treatment? Is My Child Too Young For Orthodontic Treatment? Parents try to do what’s best for their children on a daily basis. When it comes to their children’s teeth, the desire to do what’s right is even more prominent since a healthy smile is crucial to their self-esteem. Therefore, when you see your son or daughter’s adult teeth start to come in, you may be asking yourself, how young is “too young” to get started on orthodontic care? This is a question that many parents have when their children begin to develop adult teeth. Parents often wonder, is there an advantage to having young children see an orthodontist sooner? The answer to that question is a resounding YES. Children should see their orthodontist around age 7 because that is when their adult teeth—beginning with their molars—start to come in. At this age, issues such as uneven bite and overcrowding will become apparent. It is important to recognize that bringing your child in for a consultation at age 7 does not mean that he or she will begin treatment at this age. Getting seen by an orthodontist early ensures that treatment can originate at the appropriate time for patients, which is typically between the ages of 10 and 14. During this age range, the mouth is still growing and teeth are more conducive to straightening. 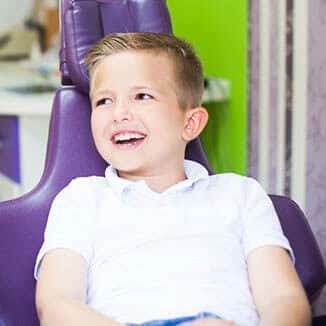 Only an orthodontist, a specialist trained in the development, prevention and correction of irregularities of the teeth, bite and related facial abnormalities can create a treatment plan tailored to your child to give him or her a beautiful smile. If you have a child age 7 or older, don’t hesitate to see your local AAO (American Association of Orthodontics) certified orthodontist for a consultation. Orthodontic practices like Zaytoun Orthodontics offer a free consultation for new patients which includes an examination and X-rays. Be proactive and set your child on the right track to a straight and confident smile! Previous Previous post: How To Pay for Orthodontic Treatment?